Given the sweeping Republican victories in the 2016 federal and state elections, voters expect to see major reforms to Medicaid (also known as TennCare in Tennessee) in 2017. Republican campaign trail promises and policy goals for Medicaid reform have included a commitment to reduce federal spending on Medicaid and give states increased flexibility to design and administer their Medicaid programs. 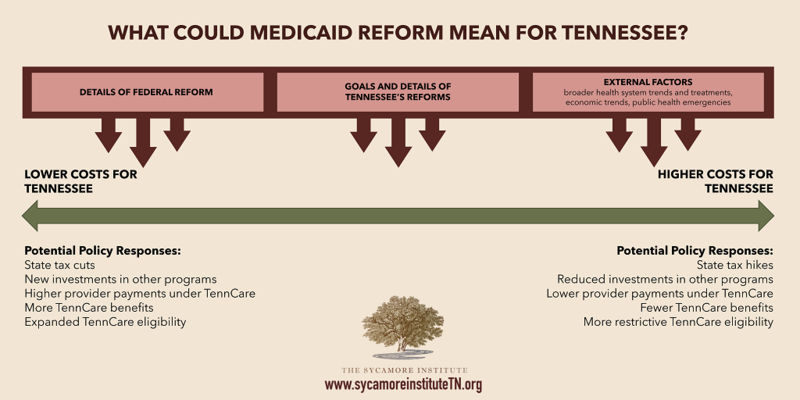 To help explain what’s going on and the ways these proposed reforms could impact Tennessee, TSI has created a 5-part series on Medicaid reform. The briefs explain the major concepts and key terms, summarize specific federal and state reform proposals, and describe many of the difficult decisions and trade-offs our leaders are facing. WHAT DID WE LEARN ABOUT MEDICAID REFORM? The goal of federal Medicaid reform is to reduce federal spending on Medicaid. 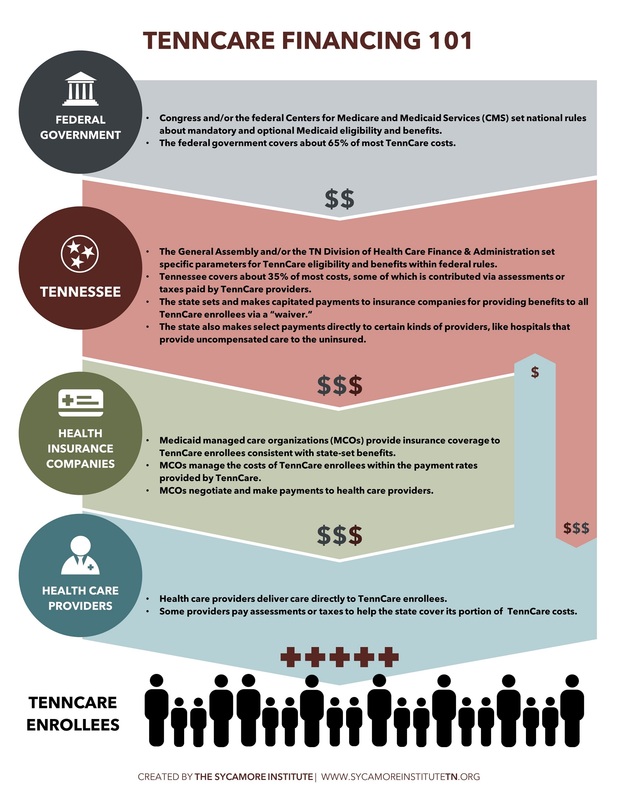 Like most Medicaid programs, TennCare is predominantly funded by federal dollars. This means that reduced federal spending translates to fewer dollars coming to states for Medicaid. 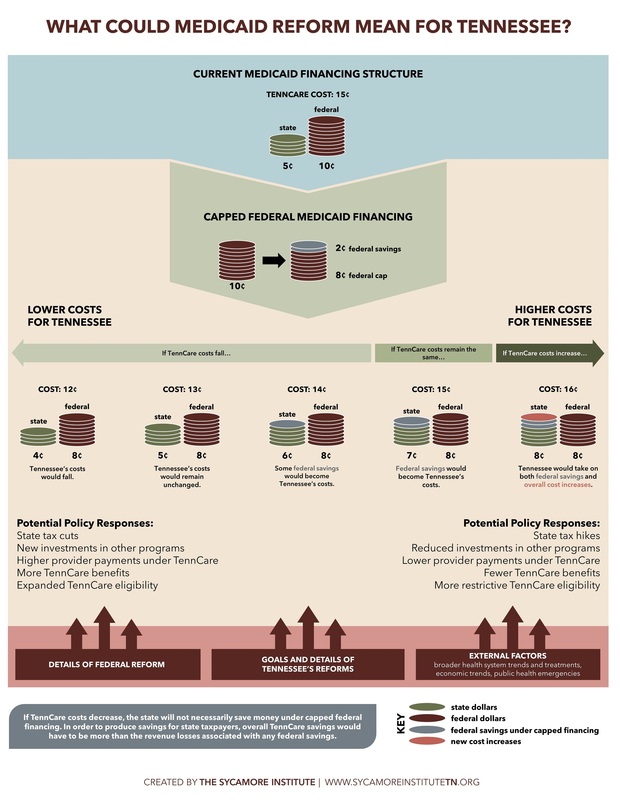 If Medicaid costs stay the same, fewer federal dollars could mean higher state costs (i.e. cost-shift). To bring Medicaid costs down, federal lawmakers may provide program design flexibilities to states. These flexibilities include things like changing eligibility and benefits that could result in both enrollment and benefit cuts. 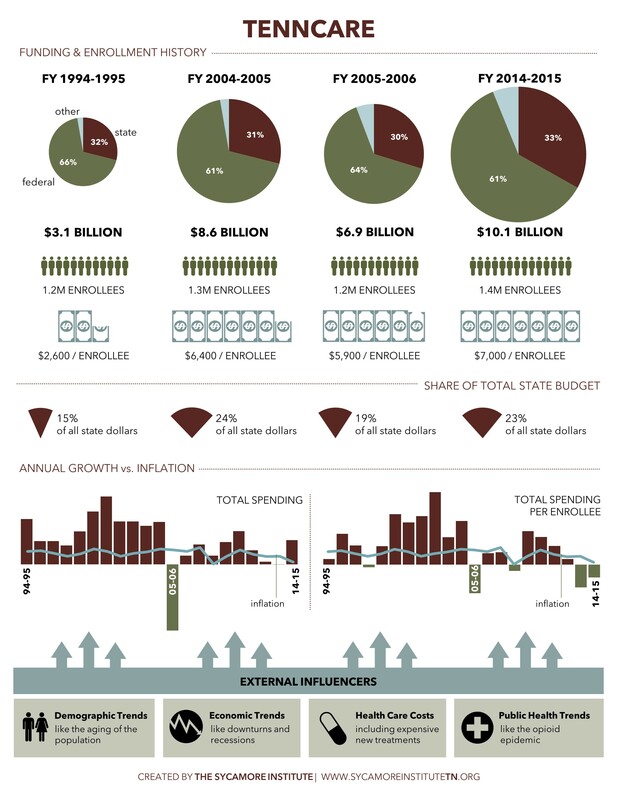 With fewer federal dollars and increased program design flexibilities, Tennessee’s policymakers may face difficult decisions about raising state taxes, cutting spending for other programs, or scaling back TennCare. We performed an illustrative analysis of the extent to which Tennessee’s policymakers may have to face these difficult decisions. In 5 of the 6 scenarios we looked at, Tennessee would receive fewer federal dollars over a 5-year period – the magnitude of which is likely to grow over time. The details of federal reforms will matter – including whether federal funds are capped as an all-encompassing block grant or whether they are capped on a per capita (i.e. enrollee) basis, the base year for federal funding, and the federally-determined annual growth rate for funding. How will Medicaid reforms impact Tennesseans’ access to needed health care services? How will Medicaid reforms impact the financial security of Tennessee families? 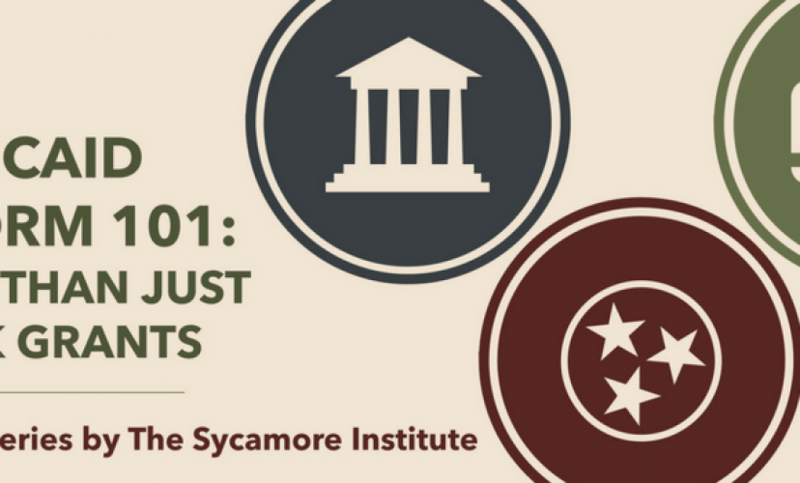 How will Medicaid reforms impact the financial stability of the State of Tennessee? How will Medicaid reforms impact the health and well-being of Tennesseans? We hope you will find this series of briefs valuable and invite your questions and requests for additional research. Appendix A: Glossary of Terms may also be a helpful companion piece for reading these briefs or for navigating other articles you read on health reform or Medicaid. Appendix B: Look-Back Analysis Data provides our detailed data results from Part 5. To download images, click on each link below, left click or Ctrl+select the image, and “save image as” to your computer. Mandy joined The Sycamore Institute in 2016 as the Policy Director. She has the lead responsibility for developing the organization’s research plan and conducting and curating research and analysis. Mandy holds a master’s degree in public policy with a health policy concentration from Georgetown University and a bachelor’s degree from Lipscomb University. Mandy brings with her over a decade of experience in health policy – including as a Presidential Management Fellow at the U.S. Department of Health and Human Services advising senior HHS leadership under both President George W. Bush and President Barack Obama on budget policy issues and as the Health Policy Adviser to U.S. Representative Bill Pascrell (D-NJ), who served on the Ways and Means Committee during the drafting, consideration, and passage of the Affordable Care Act. She began her career in policy as an intern and then bill clerk in the Tennessee General Assembly. 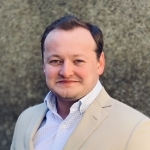 As Director of External Affairs for The Sycamore Institute, Brian manages all communications, marketing, and outreach to policymakers, journalists, and the public. He works closely with Sycamore leadership on organizational strategy and fundraising and with the policy research team on content, editing, and publication. A veteran public policy communicator who joined Sycamore in 2017, Brian has shaped messaging and public relations efforts for U.S. Representatives Tom Price (R-GA) and Jim Jordan (R-OH), the Republican Study Committee, and the American Petroleum Institute. His congressional experience includes active roles in debates over the Affordable Care Act and the federal budget, and he began his career with an internship at The Heritage Foundation. Brian earned a bachelor’s degree in history from the University of Florida. Seb is the Operations & Engagement Coordinator at The Sycamore Institute. In this role, he supports all aspects of Sycamore’s daily operations and statewide communications and engagement efforts. Before he joined Sycamore in March 2019, Seb worked as a field organizer for the Republican Party of Florida and then a regional field director for the Nevada Republican Party during the 2016 and 2018 election cycles. In these roles, he oversaw & executed voter contact operations, community engagement projects, and other campaign activities. He earned his bachelor’s degree in political science from the University of Central Florida. Jason B. Rogers serves as Vice President for Administration and University Counsel at Belmont University in Nashville, Tennessee. In this capacity he is responsible for Belmont’s legal affairs as well as its marketing, communications, government and community relations, risk management, insurance, and campus security functions. Jason joined Belmont University in 1998 after ten years of practicing law in Nashville. While in private practice, he advised and represented nonprofit corporations including numerous colleges and universities. Jason has earned academic degrees from Baylor University (B.A., with honors), Vanderbilt University (J.D.) and the University of Pennsylvania (Ed.D, with distinction). At the University of Pennsylvania, his research focused on the impact of religious mission on the civic engagement initiatives of urban universities in the northeastern United States. A 31 year resident of Nashville, Jason is committed to the local community and charitable activities and has served as the treasurer of The Baptist Healing Trust, president of the board of directors of The Next Door, Inc., a program committee co-chair of Leadership Nashville, representative to the Parent Advisory Council of Metro Nashville Public Schools, and as deacon and Sunday School teacher at First Baptist Church Nashville. 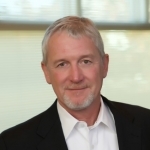 Jim Bryson is Founder/President of 20|20 Research, Inc., a qualitative research firm started in 1986. The company provides global online research software and services and operates qualitative research facilities in Nashville, Charlotte and Miami. He has been active in state politics, serving four years as a Tennessee State Senator and was his party’s nominee for Governor of Tennessee in 2006. 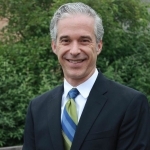 Jim previously served on the Board of Directors for the Marketing Research Association, the Marketing Research Education Foundation, and as a community board member for the Baptist Healing Trust. He served three terms as President of the Qualitative Research Consultant’s Association, an international association of qualitative research professionals. Research Business Report named Jim as its Market Research Executive of the Year for 2013. Jim is also Founder/President of The Joseph School, a school for poor and orphaned children in Haiti. He is a graduate of Baylor University and received his MBA from Vanderbilt University. Sheila Calloway is Davidson County’s Juvenile Court Judge, winning election to an eight-year term in 2014. A native of Louisville, KY, she came to Nashville in 1987 and earned her bachelor’s degree and law degree from Vanderbilt University. After graduating from law school in 1994, she worked at the Metropolitan Nashville Public Defender’s Office in both the adult and juvenile systems. 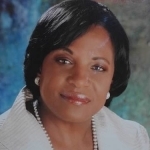 In January 2004, she was appointed by Judge Betty Adams Green to the position of Juvenile Court Magistrate, where she served until announcing her intention to run for the position of Juvenile Court Judge in November 2013. Judge Calloway was sworn into office as Juvenile Court Judge on August 28, 2014. She uses her unique combination of humor, passion, and judicial wisdom to change the way we look at justice in the United States. 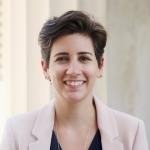 Sheila also serves as an Adjunct Professor at Vanderbilt University, where she teaches in both the undergraduate and law schools, and at Belmont University’s College of Law, where she teaches Juvenile Law. A native Memphian, Stewart has lived in Nashville since 1969. He is a graduate of Vanderbilt University and Vanderbilt Law School. He has been a member of the Tennessee Bar since 1977. 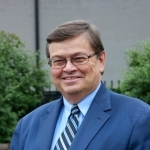 Before his current work on behalf of a wide range of nonprofit groups he worked for over 30 years as a staff attorney for the Legal Aid Society and as staff attorney and then executive director of the TN Alliance for Legal Services. Stewart is also an instructor with the Nelson and Sue Andrews Institute for Civic Leadership of Lipscomb University and a former trustee of The Healing Trust and board member of United Way of Tennessee. He is also a member and past chair of the Tennessee Bar Association’s Government Affairs Committee. Stewart also regularly volunteers to speak to groups about how to effectively engage in public policy advocacy at the state and local level. 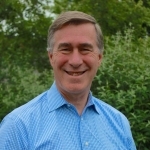 He served from 1987-1999 as the Metro Councilmember for District 18 and from 2000-2017 as a Metro Planning Commissioner. Edwin S. “Ed” Roberson is a former CEO of Christ Community Health Services, which provides health care to the underserved in Memphis, and a past partner in the accounting firm of KPMG. 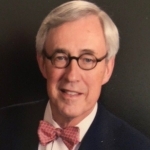 Now retired, Ed has served on numerous nonprofit boards, including Methodist Le Bonheur Healthcare as chairman, Duke University Divinity School, and Porter-Leath. He also serves on corporate boards including Consol Energy, W.M. Barr, and Infocare. Ed has been involved in fundraising for numerous political campaigns in Tennessee, including those of Senators Bill Frist, Fred Thompson, and Lamar Alexander, and he is a former treasurer of the state Republican Party. Ed is active in Germantown United Methodist Church and many community endeavors. He is married with two children and 4 grandchildren. He received his undergraduate degree from the University of North Carolina at Chapel Hill and an MBA from the University of Georgia. Pamela Carter is a retired executive of Cummins Inc., a Global Fortune 200 company, and the first African American woman elected as a state attorney general in the United States. She began her career as a litigator and prosecutor, served as deputy chief of staff to the governor of Indiana, and was elected attorney general of Indiana in 1992. That state won all four U.S. Supreme Court cases it was involved in during her tenure. Carter briefly returned to private practice before joining Cummins in 1997 as vice president, general counsel and corporate secretary. She switched to the business side and ran the company’s Europe, Middle East, and Africa business from Belgium before moving to Nashville in 2005 and eventually rising to lead the company’s second largest business unit with a presence in 190 countries and territories, revenue of more than $5 billion dollars, and over 13,000 employees. Carter is Chair Elect of the Nashville Symphony Board and serves on the boards of four public companies: CSX Inc., Hewlett Packard Enterprise, Enbridge Inc., and Broadridge Financial Solutions. She is a graduate of the University of Detroit (A.B. ), the University of Michigan (M.S.W), Indiana University School of Law, and Harvard’s Kennedy School. She retired in 2015 and is married with two married children and two grandchildren. Laura Berlind joined The Sycamore Institute in 2015 as the founding executive director. 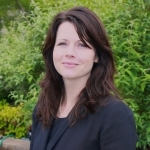 She provides Sycamore’s organizational vision, strategic planning, and day-to-day management. 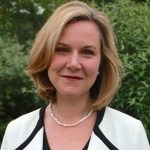 Laura holds a master’s degree in public policy with a focus on business and government from Harvard’s Kennedy School of Government and a bachelor’s degree from Boston College. Her role at Sycamore reflects her longstanding commitment to using data and research to bring together diverse stakeholders and work complex problems. Laura brings with her almost fifteen years of nonprofit and government finance experience, most recently serving as the CEO of Renewal House, a holistic residential treatment center for women and their children affected by addiction and poverty. Prior to her role at Renewal House, she worked as a financial analyst at Vanderbilt University and as a vice president in the public finance department at Ambac Financial Group in New York, NY. At Ambac, Laura worked with wide range of government and nonprofit clients to evaluate and execute publically funded capital projects ranging in size up to $800 million. Laura maintains a strong connection to her local community through service on nonprofit boards and other volunteer activities. She is currently serving as the chair of the Tennessee Department of Mental Health’s Planning and Policy Council and is an active member of Rotary Club. In 2014, Laura received the Volunteer of the Year award from the Tennessee Association of Alcohol, Drug and Other Addiction Services. She was also recognized as one of the Nashville Business Journal’s 2014 Forty Under 40 award winners and was a member of the 2016-17 class of Leadership Tennessee. Get great info like this in your inbox! Bill Bradley is a retired director of the Division of Budget, Tennessee Department of Finance and Administration. He worked for Tennessee state government for 39 years, including 32 years in the Budget Division, where he was director for 14 years, and 7 years in the State Planning Office, Local Planning Division. He earned a B.A. with honors at the University of Tennessee, Knoxville, majoring in political science, and earlier was an air traffic controller in the U.S. Air Force. He was awarded a Life Membership in the National Association of State Budget Officers in 2013. He retired in 2013 and lives in Nashville. Lewis Lavine served as a Board Member of The Sycamore Institute from its inception until he passed away in 2018. 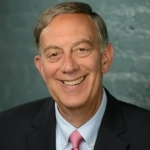 His professional career included two stints with The Ingram Group, a Nashville and Washington based business consulting firm, first as a chairman and later as a senior strategist. In between, he served as the president of the Center for Nonprofit Management. While at CNM, the agency expanded to serve more than 800 nonprofits, offering 120 workshops and nearly 100 consulting engagements each year. His career also included a number of government posts including chief of staff to then-Governor Lamar Alexander. In 2011, he assisted current Tennessee Governor Bill Haslam during his transition into state leadership. Lewis served on nonprofit and government boards in Tennessee and Washington, including the Nashville Metropolitan Transit Authority, The Sycamore Institute, and the Nashville Public Education Foundation. In 2006, Lewis served as co-chair of Celebrate Nashville commemorating the city’s 200th birthday. A graduate of Davidson College, he earned his master’s degree in economics from Vanderbilt University. He was awarded the Jane Eskind Community Leadership Award by Family and Children’s Service, and the Ned R. McWherter Leadership Award by the Tennessee Center for Performance Excellence. 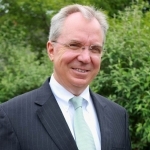 James W. White is managing member of the law firm of Farmer Purcell White & Lassiter, PLLC, in Nashville, Tennessee. Previously, he served as Executive Director of the Fiscal Review Committee in the Tennessee General Assembly, as Counsel to the Speaker of the Tennessee House of Representatives, and as Counsel to the Tennessee House Finance, Ways & Means Committee. He is a past Staff Chair of the Budgets and Revenue Committee of the National Conference of State Legislatures. 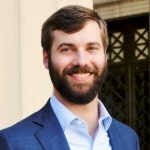 His undergraduate degree is from the University of Tennessee and his law degree is from Georgetown University Law Center, where he was an editor of the Georgetown Law Journal. He is admitted to practice before the United States Supreme Court, the Tennessee Supreme Court, and all federal and state courts in Tennessee. 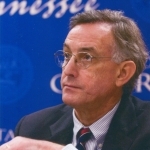 He is an occasional op-ed columnist for The Tennessean, having written on the impact of the Great Recession on Tennessee’s state budget and the consequences of the federal “fiscal cliff.” He has also been published in Judicature, the publication of the American Judicature Society on the topic of maintaining the independence of state judiciaries. He currently serves as a member of the board of the Nashville Symphony and as president of the Nashville Symphony Chorus. Kyle Spurgeon is President/CEO of the Jackson Chamber, which represents 1100+ business members in the city of Jackson, Madison County, and parts of West Tennessee. He presently serves as Vice-Chairman of the Tennessee Economic Partnership and was previously president of the Tennessee Economic Development Council, president of Tennessee Chamber of Commerce Executives, and a board member of the Southern Economic Development Council. Before joining the Jackson Chamber, Kyle served as Vice-President, Corporate Relations for Jackson Energy Authority and Marketing Director for the Tennessee Department of Economic and Community Development. He has received awards for community service from the Jackson/Madison County Sports Hall of Fame, the Mother Liberty CME Church in Jackson, the West Tennessee Healthcare Foundation, and the University of Memphis Lambuth. He holds a B.S. in Public Relations/Marketing from Murray State University and is a 2017 graduate of Leadership Tennessee. 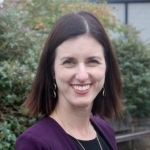 Kristen Keely-Dinger is the President and CEO of The Healing Trust, a private foundation created to provide grants and support to nonprofits that foster healing and health for vulnerable populations in Middle Tennessee. Kristen has experience in prevention education, community organization, and volunteer administration. Kristen received her Bachelor’s of Science in Neuroscience from Vanderbilt University, her Master’s of Science in Social Work from the University of Tennessee, and is currently a Licensed Advanced Practice Social Worker. Kristen was selected as a 2007 Southeastern Council of Foundation Hull Fellow and is a graduate of the 2011 Nashville Emerging Leaders Class. Brenda Gadd is a partner at Hancock & Gadd Public Strategies, where she represents nonprofits and socially conscious companies in the public policy arena. Prior to starting her own public affairs practice, Brenda served in lobbying and public policy roles for the Tennessee Bar Association and CivicPoint. In 2014, she managed the successful statewide retention election of three Tennessee Supreme Court Justices. Brenda began her career working on political campaigns and quickly rose through the ranks to serve as a chief of staff in the Tennessee Senate and then as a legislative liaison in Governor Bredesen’s administration. In addition to The Sycamore Institute, Brenda serves on volunteer boards for the Lawyers Association for Women’s Marion Griffith Chapter, Justice for Our Neighbors, Tennessee Equality Project, Tennessee Lobbyist Association, and as a founding board member of Emerge Tennessee. Brenda has been recognized for her leadership through the Young Leaders Council, Leadership Middle Tennessee, and Nashville Emerging Leaders and serves as chapter director of Nashville’s New Leaders Council. Brenda is the proud alumna of Maryville College, Nashville School of Law, and the Women’s Campaign School of Yale University. Courtnee joined The Sycamore Institute in 2016 as the organization’s policy analyst. She is responsible for conducting analyses of state budget and policy issues impacting the health and well-being of Tennesseans. 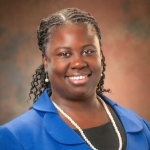 Courtnee holds a doctorate degree in Health Outcomes and Policy Research from the University of Tennessee Health Science Center and a bachelor’s and master’s degree from the University of Memphis. 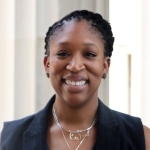 Courtnee has experience conducting health outcomes research and managing clinical trials — including carrying out both qualitative and quantitative analysis, discussing research findings with diverse audiences, and publishing peer-reviewed manuscripts. Mandy joined The Sycamore Institute in 2016 as the Policy Director. She has the lead responsibility for developing the organization’s research plan and conducting and curating research and analysis. Mandy holds a master’s degree in public policy with a health policy concentration from Georgetown University and a bachelor’s degree from Lipscomb University. Mandy brings with her over a decade of experience in health policy – including as a Presidential Management Fellow at the U.S. Department of Health and Human Services advising senior HHS leadership under both President George W. Bush and President Barack Obama on budget policy issues and as the Health Policy Adviser to U.S. Representative Bill Pascrell (D-NJ), who served on the Ways and Means Committee during the drafting, consideration, and passage of the Affordable Care Act. She began her career in policy as an intern and then bill clerk in the Tennessee General Assembly.